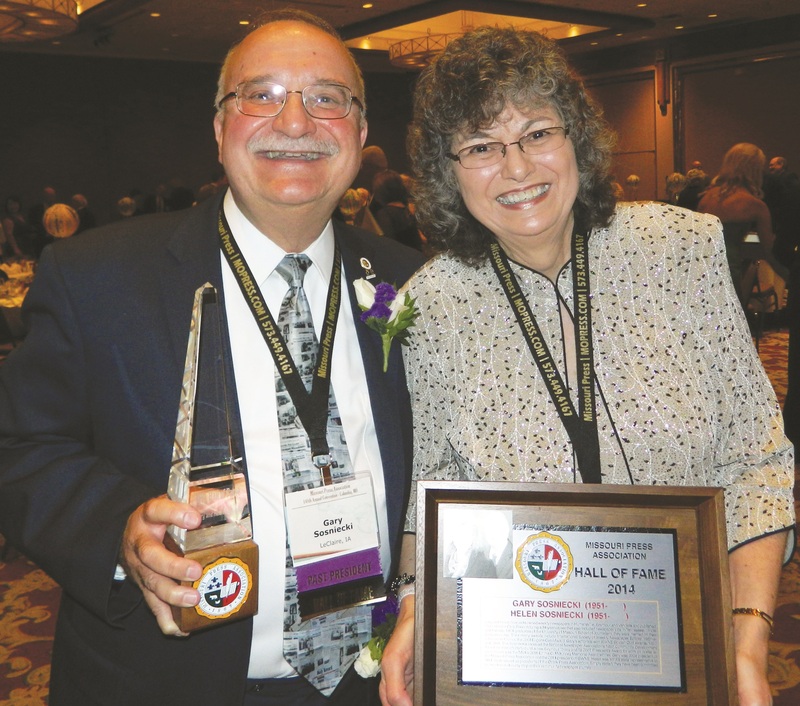 Former Missouri newspaper owners and publishers Gary and Helen Sosniecki are among six newspaper people, including another husband-wife team, who were inducted in September into the Missouri Press Association Newspaper Hall of Fame. Helen is Interlink’s Senior Sales and Marketing Manager, and Gary is a Regional Sales Manager for TownNews.com. 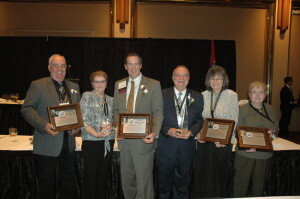 The induction was held Sept. 26, during the 148th annual Convention of the Missouri Press Association (MPA) in Columbia. This year’s other inductees are David Bradley, Jr., Chairman and Chief Executive Officer of News-Press & Gazette Company, St. Joseph; Judy Dixon, Festus, a cartoonist/illustrator with more than 30 years in the newspaper industry; and Don and Kathy Ginnings, longtime publishers of the Hermitage Index. Hall of Fame inductees receive Pinnacle Awards in honor of their service to the Missouri newspaper industry and their communities. Inductees’ plaques will join the permanent display of inductees in the MPA office in Columbia and in the student lounge in Lee Hills Hall at the Missouri School of Journalism. The Sosnieckis owned weekly newspapers in Humansville, Seymour and Vandalia and published The Lebanon Daily Record during a 34-year newspaper career that also included newspaper jobs in Tennessee, Illinois and Kansas. They are 1973 graduates of the University of Missouri School of Journalism and will host the 2015 summer conference of the International Society of Weekly Newspaper Editors at Mizzou. 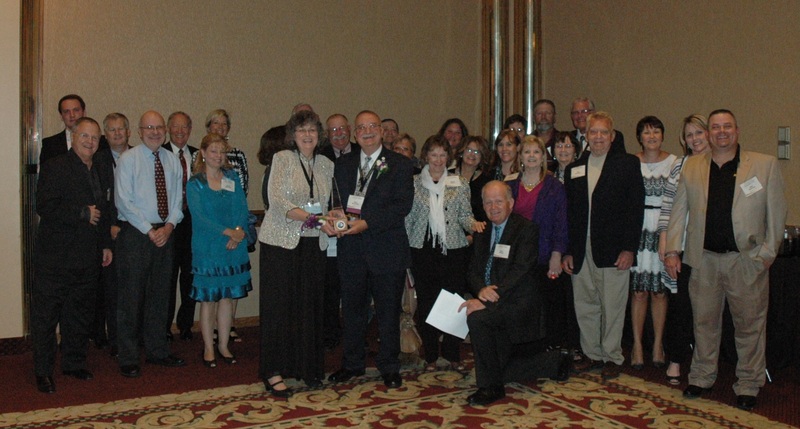 Their many awards include ISWNE’s lifetime-achievement honor, the Eugene Cervi Award, in 2003. Gary’s editorials won Golden Quill awards from ISWNE in 1998 and 2006. The Sosnieckis received the National Newspaper Association’s Community Development Award in 1998 for their efforts to build a new library in Seymour and its President’s Award in 2007 for their work on postal issues. 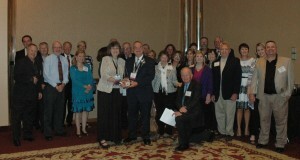 Helen was the NNA’s Emma C. McKinney Memorial Award winner for 2011. Gary was 2004 president of the Missouri Press Association and is the current president of ISWNE. Helen was MPA’s state representative to NNA. Both served as presidents of the Ozark Press Association. 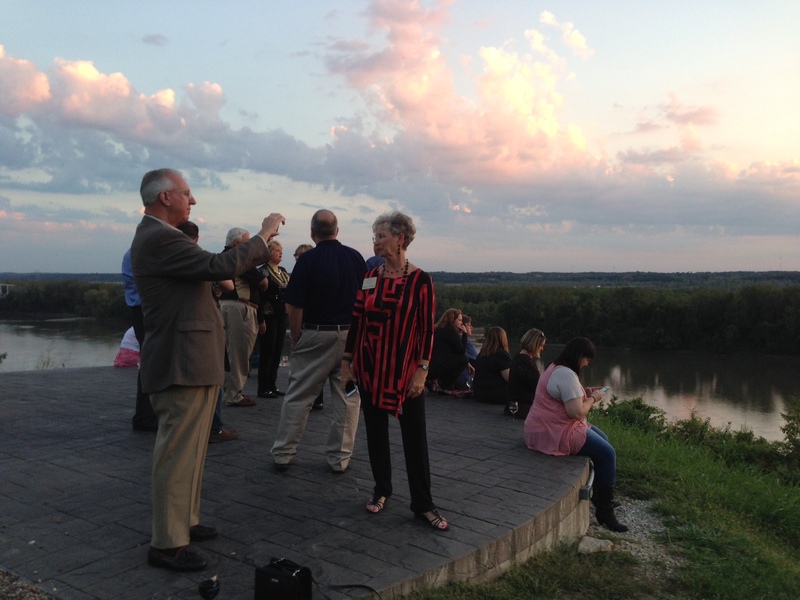 NNA President Robert Williams photographs wife, Cheryl, on a bluff overlooking the Missouri River during the 2014 Missouri Press Association Convention held in Columbia. Following dinner, MPA members gathered on the bluff outside Les Bourgeois Vineyards to enjoy the sunset. 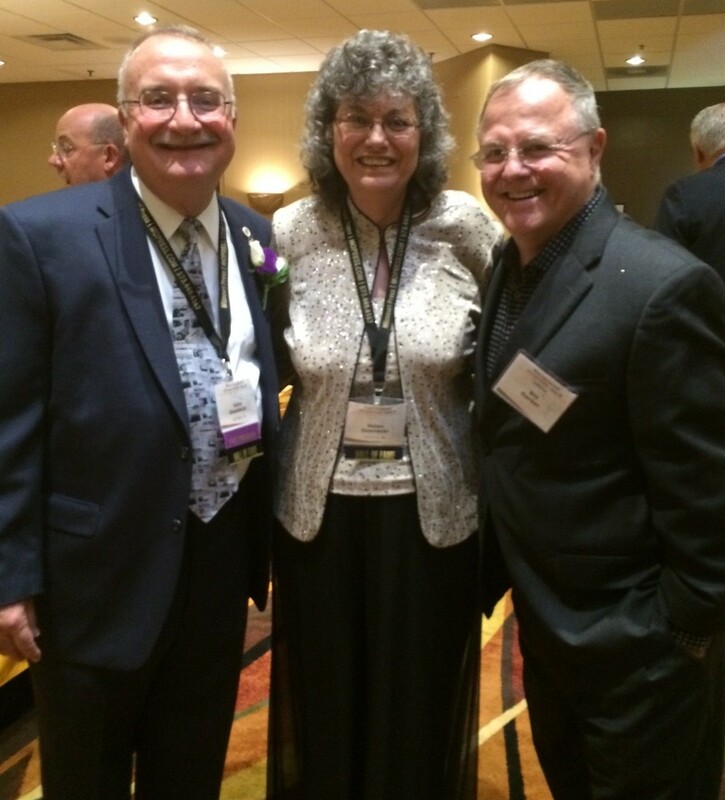 William (Bill) Garber, founder of Interlink, attended the dinner and award ceremony and is pictured with the Sosnieckis.